As the fog hangs heavy in the sky here in the U.K. and my winter brides head off on honeymoons to warmer climates I can’t help but look forward to planning the spring wedding flowers. 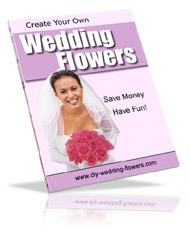 There are plenty of flowers to choose from if you are planning a spring wedding. Here are three of my favourite spring wedding flowers. Peonies have recently become one of our most popular wedding flowers and it’s hardly surprising as they are truly beautiful. They work really well in handtied wedding bouquets. In the photo above you can see them in a bridal bouquet I made for Amy’s spring wedding. 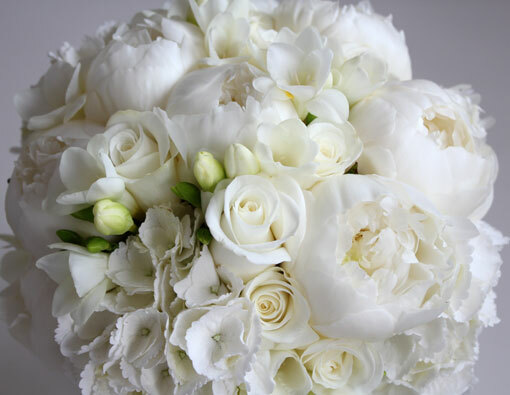 I combined white peonies, hydrangeas, roses and freesias to make this stunning posy bouquet. Peonies also work well in wedding centrepieces. 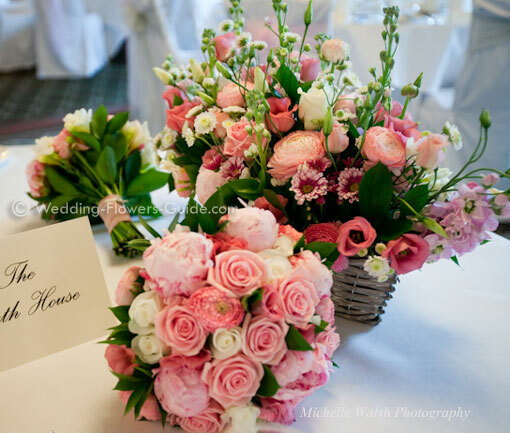 In the photo above you can see how I used the pink peony in these beautiful table decorations. They were mixed bouquets of spring flowers including stocks and roses placed in white pails for a relaxed garden marquee wedding. I can only describe these flowers as pretty, delicate and one of my all time spring wedding flower favourites! 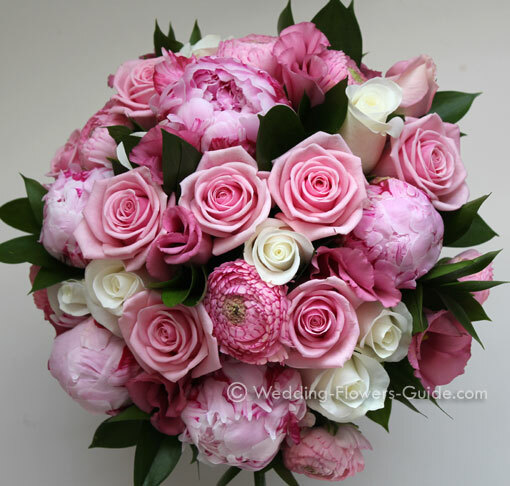 Here you can see the wonderful pink striped variety in a wedding bouquet that I created for Cat’s spring wedding. In this bouquet I arranged them with roses, lisianthus and peonies to make a perfect spring bridal bouquet. 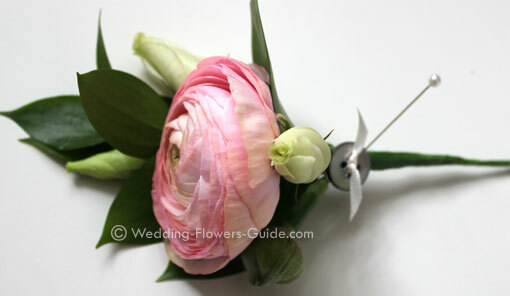 Ranunculus also work really well in buttonholes. In the photo above you can see the boutonniere that I made for the groom to match the brides bouquet. I find these flowers total irresistible, I’m fascinated by the dark velvety centres to these stunning spring wedding flowers. 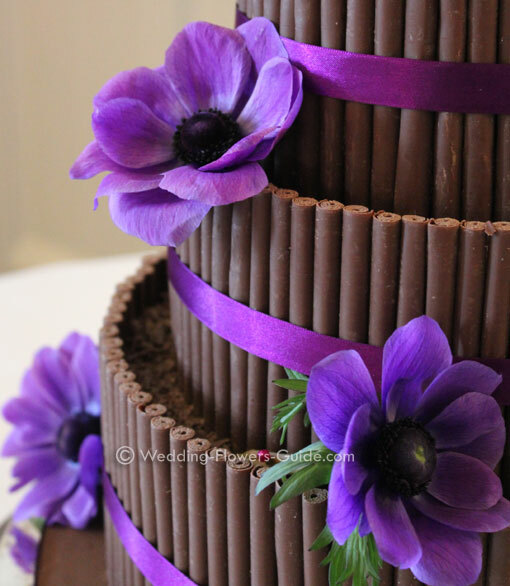 Here you can see the purple anenome, which I placed on a dark chocolate wedding cake. Because these flowers have so much impact you can use them on their own. You can also see how I used anenomes in the bridal bouquet (photo above). 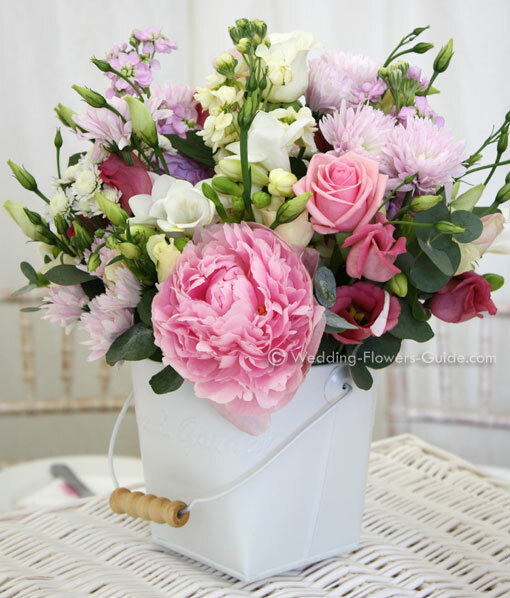 I love this bouquet, as it’s such a perfect spring flower combination. 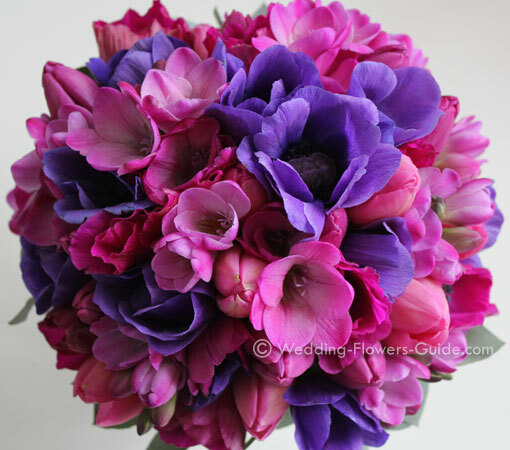 I combined tulips, anemones and freesias in cerise pink and deep purple finished with a eucalyptus collar. I love the combination of cerise pink and deep purple, the two colours work really well together. "Absolutely beautiful all our guests made wonderful comments. They looked like something out of a magazine."